I thought this was going to be easy…noooo! 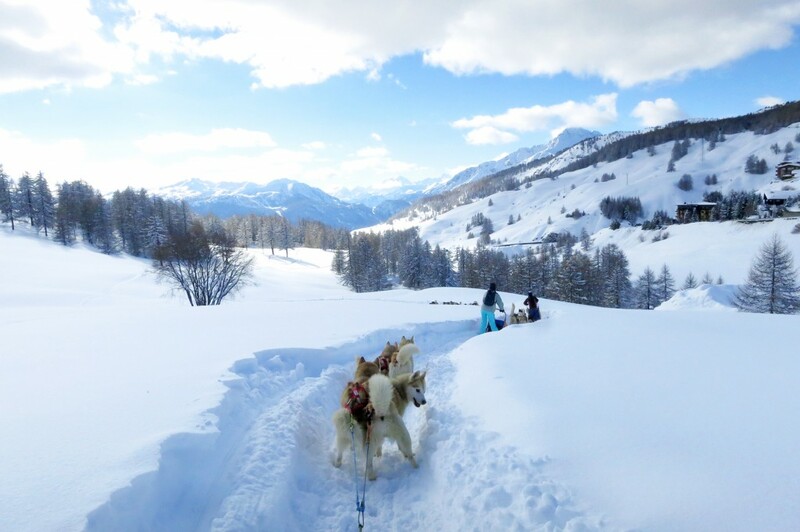 Who knew that dog sledding—cane da slitta—was such a work out!? 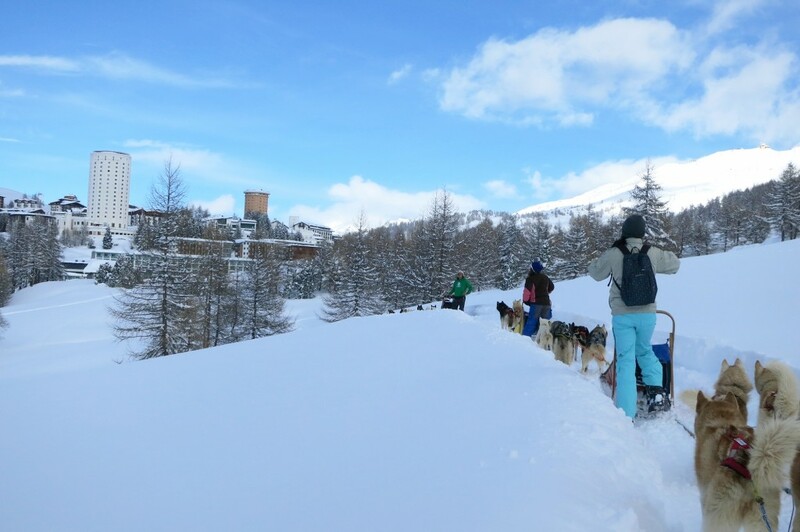 I finally got to go on a 40 minute trek with a pack of Huskies in Sestriere. For all the winters I’ve spent here I first learned about Luca Chiarelli just two weeks ago. 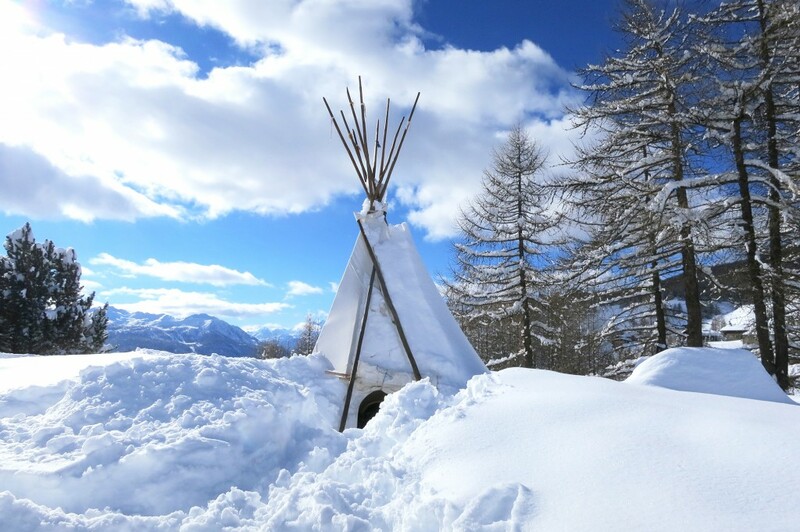 Luca’s been running his dog sledding business for over 20 years and has set up winter camp (with an awesome tee-pee) in Sestriere for 7 years. I first found him because I was wandering around the Olympic Village. The building was built for the athletes for the 2006 Winter Olympics and has since been converted into a hotel with a salon, grocery store, sports bar, shops, etc. 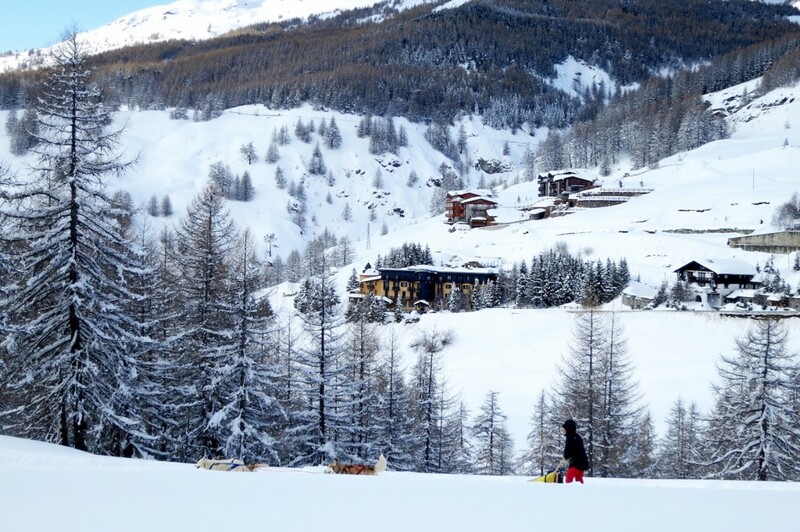 There’s the gondola right out front that takes you up to Mount Fraiteve where you can ski Sansicario and Sauze d’Oulx, even hike in the summer! During my wandering I heard howling. Huh? What the? 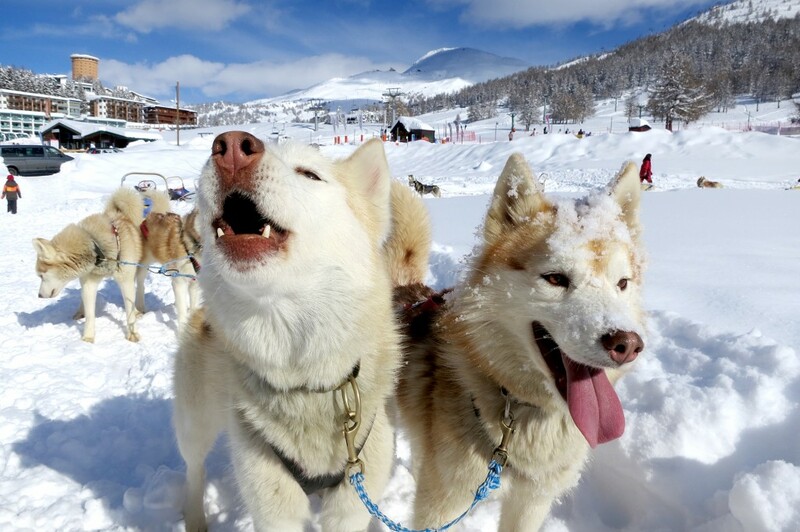 I walked towards the sound and found sleds and the most excited Huskies I’ve ever seen. They were ready to go on their next run. Before you know it I made an appointment to experience it for myself. After the 10 minute crash course on how to manage the sled, push in the brake and work with the dogs I jumped on my sled. My four pack of wolves were looking at me like “Let’s go lady! Andiamo!”. Off we went in a single file line down the narrow track which was walled with 2-3 feet of fresh snow. My quads were shaking right away. I’ve been snowboarding and walking a lot the past three weeks, so was surprised how out of shape I felt. I think it had to do with the intensity—if you screw up your dogs take off and can run over the person in front of you. The track was basically filled with switch backs. We went downhill and flat for a long stretch and then…up…hill. This means get your chubby thighs off the sled and run. Forget dances with wolves, this was runs with wolves! The day was incredible. The sun was out and the panorama of the route was so gorgeous. It was fun whizzing past all the fresh untouched snow—some of which I got extremely closer than I would have liked, like maybe 3 feet in up to my thighs. That woke me up! 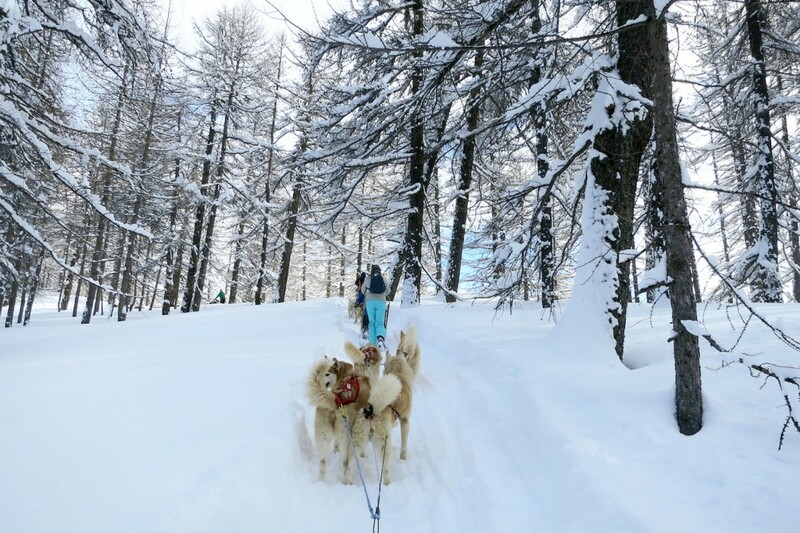 These animals were amazing and what an experience to run with them, sled behind them—fascinating to think what an old form of transportation it is…it’s in their blood. 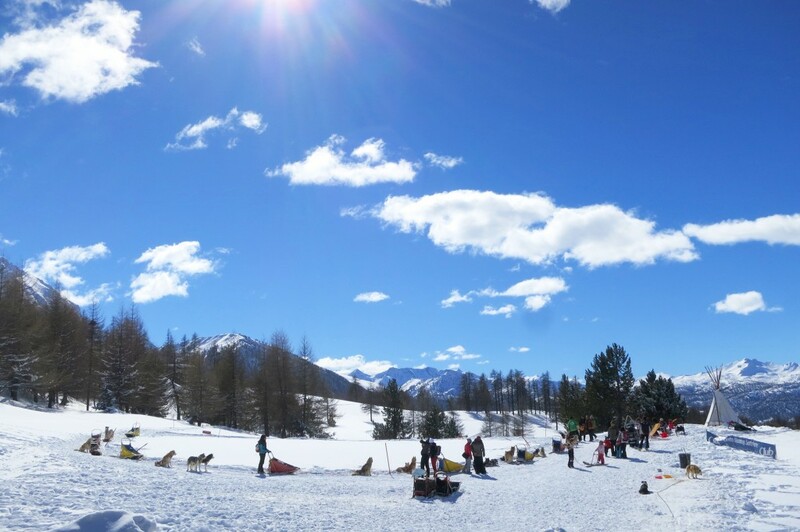 Sestriere never ceases to surprise me. There’s always something going on all winter and summer AND they really know how to party on New Years! The last thing on my list this winter is snowshoeing, so wish me luck today! 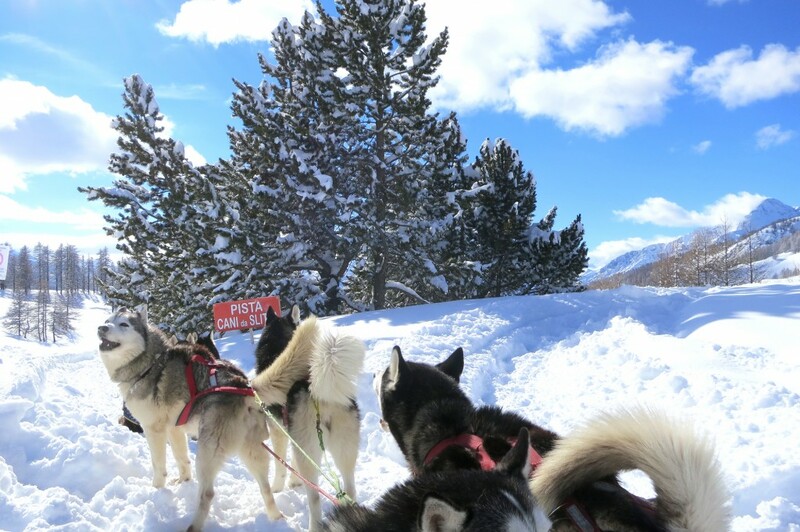 *I was a guest on this Husky adventure, but all thoughts are my own. 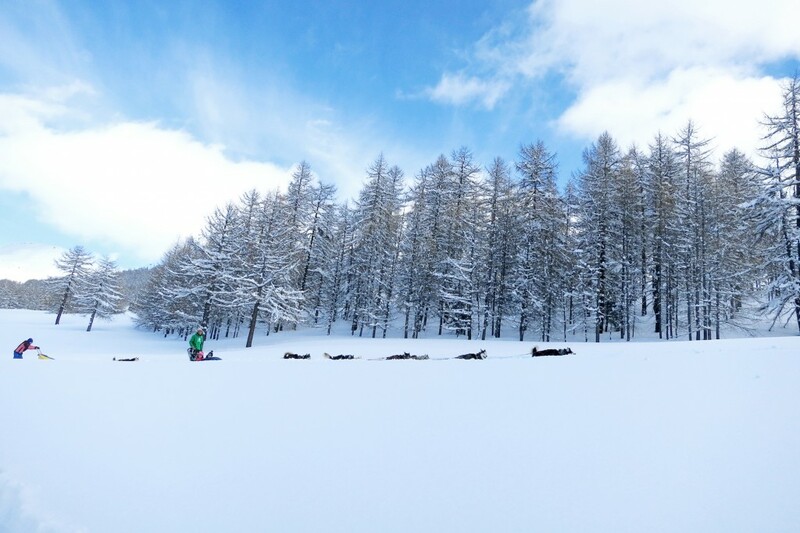 For more info on dog sledding in Sestriere check out Luca’s website! 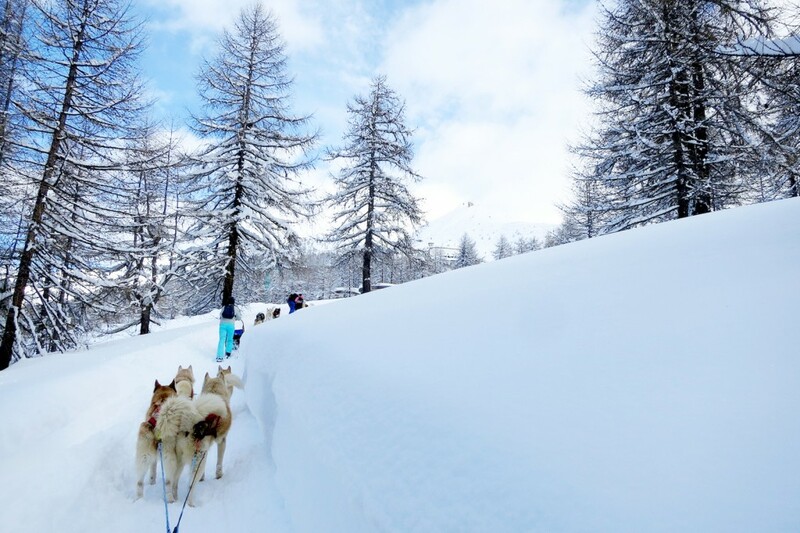 Have you ever been dog sledding? Spelunking in Italy, First Time For Everything! 10 minute crash course! That’s brilliant! 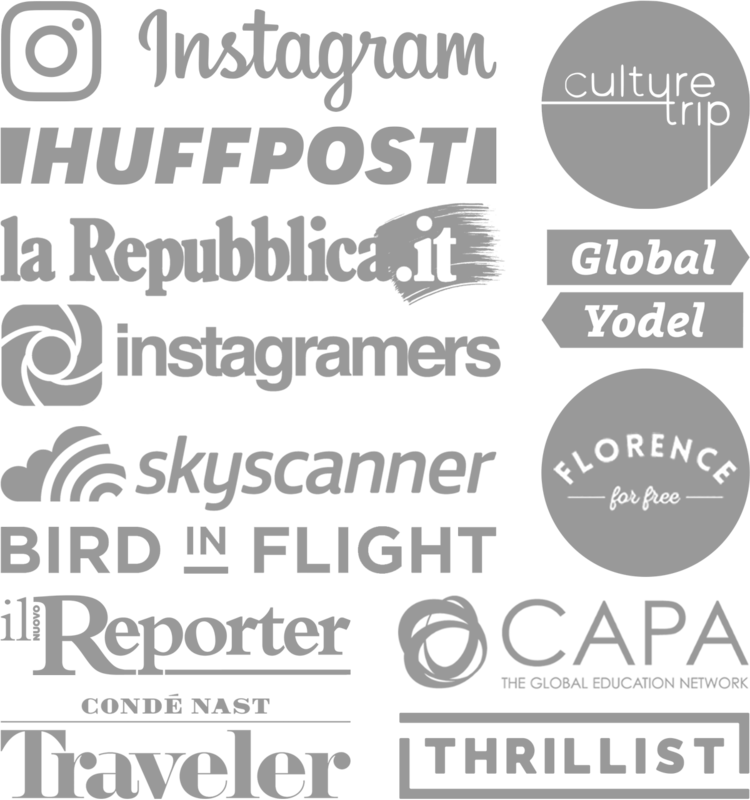 What an amazing experience, I had no idea you could do this in Italy 😀 thanks for the tip! Me neither, I had no clue this existed in the Alps! It’s such a beautiful place to experience that man-dog connection. Awesome! This would have appealed to the Jack London-inspired boy in me. That alone sounds adventurous! Yes you and the little Jack London inside you would love this! Ha ha very true, I tried it in Finland and I kept worrying about the sled crashing into the poor dogs when I was going down hill! Oh my! I had no clue it was so intense! Great experience for such a rough ride.